Does Luck Play a Role in a Leader’s Success? It is often easy to attribute the success of great and influential leaders to pure luck. Undoubtedly, some turned out to be the right person in the right place at the right time. However, they also had to have the right skills and abilities to build on the opportunities presented to them. “[Andrew] Carnegie (Carnegie Steel) was well aware that his success was in large part the result of being in the right place at the right time. 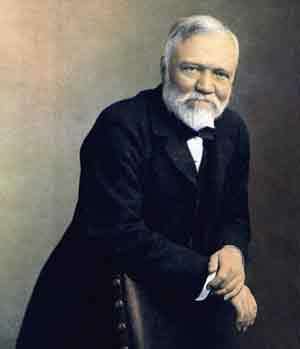 Obviously, he had business and personal skills to help carry him, but Carnegie was introduced to the right industry (telegraph), where he met the right businessmen, who then introduced him to investing and the steel industry. P.T. Barnum (Ringling Brothers & Barnum Circus) noted, “There is no such thing in the world as luck. There never was a man who could go out in the morning and find a purse full of gold in the street today, and another tomorrow, and so on, day after day: He may do so once in his life; but so far as mere luck is concerned, he is as liable to lose it as to find it. Ray Kroc (McDonald’s) observed, “‘Luck is a dividend of sweat. The more you sweat, the luckier you get.’ Despite all his hard work, Kroc was not always a lucky man. The skills and characteristics the great and influential leaders employed enabled them to identify and maximize the opportunities that presented themselves. These individuals may have been lucky in being at the right place at the right time, but far more was required to capitalize upon available opportunities, which were presented to them. Many others at the same time were presented with similar opportunities. Yet they failed to achieve similar levels of success. This was because they didn’t possess the same skills, competencies and knowledge to understand what was needed to grasp the significance of the opportunities, and the actions and practices to maximize them. Did You Ever Want to Just Give Up and Quit? The complexion of business and the workplace are continually changing. The skills required of leaders in the past have become outdated and outmoded by the volatile business environment. Today’s leaders are required to change and adapt or lose their professional edge. There are a number of critical skills that need to be mastered in order for leaders to remain a relevant and viable resource for their company. Most leaders would like to maintain the status quo. It is easy to be resistant to change. In fact, many are doing just that, hoping that conditions will revert to the way they were in the past. Unfortunately, this wishful and myopic thinking produces numerous adverse consequences. The dynamic impact of change is a reality that each leader must fully comprehend and come to terms with. This demands that thinking and attitudes continually evolve with increasing ongoing transformations in the global marketplace. New skills are required for leaders to integrate these changes into their business environment and adapt to new ones not far behind. Most leaders’ personal thinking is shaped by the events and circumstances they have previously experienced. Over time, thinking patterns tend to become solely focused on the activities of the company and upon issues and situations related to the effectiveness of their employees. Because of this, reasoning and perceptions often become clouded and stagnant. Many times they include a bias and perspective that does not reflect reality. Change and its forces really do demand that leaders get outside of their normal way of viewing things to develop a fresh perspective of both their company and the reality of the existing business environment. This often results in a thinking paradigm shift that positively impacts future business practices and methods. It compels leaders to recognize the changing reality of their own business climate, its needs and concerns, and how emerging forces are producing a positive or negative impact on how the business functions. It also works to develop a fresh focus on what is needed to compete effectively, grow and gain market share. Linked with this thinking paradigm shift is a need for effecting a change in the corporate culture. This is necessitated by the various factors brought about by a continuously evolving marketplace. Leaders often have difficulty dealing with the concept of changing the culture around them. This stems mostly from fear of the personal consequences that accompanies corporate transformation and because most of the changes tend to challenge conventional wisdom. Most leaders don’t understand exactly what is required to evolve as truly effective leaders or how to go about it. New methods and ideas conflict with their current managerial roles. They feel at risk because their comfort zones are threatened and new skills in leadership are often lacking. Many worry they will not be able to fill their newer role adequately enough to produce the results the culture change demands. A leader’s professional development demands that they delegate more daily activities and responsibilities to selected employees. While this pushes decision making down to the front lines—where it has the most impact—it does not mean that leaders should not be continually aware of what is happening in regard to each delegated employee. Rather, they should use some form of metrics system to keep a daily pulse on what is occurring in the workplace. Though they need to delegate their micromanagement activities, there still is the essential need to maintain an active and open presence with their employees or work teams. This allows them to individually and proactively interact whenever required. Related: Do You Have a Zeal to Execute? As leaders formulate their particular leadership style, they must incorporate the ability to act quickly and decisively. In a business environment of rapid change, hesitancy is a liability, especially in the current workplace environment where failure to act can easily create an opportunity for the competition to gain a foothold. While many leaders are prone to the misconception that the more sophisticated and complicated the plan, the better it is, a good leader understands the need to keep things simple and to stress execution. Though outwardly impressive, complicated plans and solutions demand complex and costly systems to support them, are prone to human error, and increase the risk of failure. Straightforward and simple plans and goals are less expensive, less subject to human error and far easier to execute. Related: Do You Believe in Yourself? Leaders who desire to develop their professional skills must cultivate an innate sense of confidence in their decisions. Many stumble into the pitfall of always second-guessing themselves. This results in hesitancy and a loss of self-confidence in their professional abilities. It is a far more desirable leadership trait to act quickly and decisively, then modify the decision as additional data and results become available, than it is to wait until extenuating circumstances develop due to indecision. 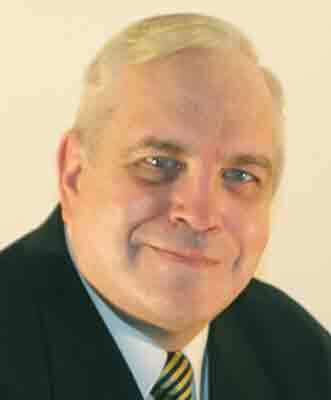 Inaction only gives rise to additional problems that will also need to be addressed and surmounted. Managers who lead seek out opportunities, evaluate their potential and take decisive action to either pursue them or not. In order to involve employees in the process and instill a sense of unified, collective effort, managers depend upon their personally consistent, determined and trustworthy leadership styles. Leadership styles should not be confused with attitudes. Some managers adhere to restrictive and bureaucratic styles to compel employees to produce results. They are unable to tolerate failure and mistakes. The resulting attitudes they display suggest that they believe no one else in the work environment is as important, indispensable and powerful as they are. Managers as leaders work with and through their employees. They use their leadership skills to identify opportunities and motivate their department or unit members to achieve increased results through appropriate and decisive action. All leaders tend to develop their own individual, comfortable ways of getting things done. Some managers believe their styles reflect how they personally act and respond, when in fact they are simply based on how they prefer to function within roles, assignments and responsibilities. Though leadership styles vary, all have specific elements that ultimately define success or the lack thereof. This is important for managers desiring to become effective leaders. Successful leaders employ a results-oriented style that both motivates individual employees to stretch their abilities and communicates a passion for the accomplishment of their vision. More importantly, effective styles incorporate specific elements to ensure leadership success. Most organizations are experiencing rapid changes due to the thrust of technology and volatile market conditions. Traditional supervising managers often tend to wait for events to occur and conditions to change before taking action. Consequently they are always a step or two removed from being on top of things and taking control of situations. This results in an ongoing series of reactionary moves and positioning strategies. Leaders, on the other hand, make it a point to anticipate trends and economic conditions and are always prepared to make a move once they sense the timing is right. They are prepared to take the necessary steps to address challenges head on, and have defined specific ways to meet them. They don’t wait for conditions to improve or opportunities to open up before they begin to pursue their course. Managers who lead understand the need for continuous learning and the ongoing search for professional knowledge. They know that knowledge combined with expertise turns risks into acceptable opportunities. While many people tend to judge managers’ actions as peril-ridden and hazardous, in reality most are averse to risk taking. They take great care to explore all opportunities and carefully analyze and calculate all involved risk factors. Leaders only move when they know the risks involved are minimized, and that the odds of obtaining positive outcomes are in their favor. What appears to be venturesome behavior is actually decisive action, as they only act on their evaluations and analysis after they have reviewed all the facts. Opportunities can take different forms, not all of which are obvious or readily observable. Careful tracking of industry and economic trends produces indicators of future behavior that may present lucrative openings. Always on the alert for subtle opportunities, they make it a point to anticipate, prepare for, and take advantage of each one when the time is right. Managers are decisive in their actions—not rash. Before specific actions are taken, great care is taken to observe trends and opportunities and weigh them to determine appropriate and effective timing factors. If mistakes are made in timing, judgments are generally not far off. This is an important element in market-sensitive, volatile times. Managers understand that opportunity is often accompanied by difficult choices. Rapid changes in market or customer conditions may require them to make choices that directly shift focus and resources to more profitable departmental pursuits and away from certain activities or existing methods that produce languishing or diminishing results or profitability. Managers who lead have an inexhaustible drive that allows them to take control of situations and events in order to make things happen. Their ambition is limited only by their vision of the things that can be accomplished and how they can go about achieving them. 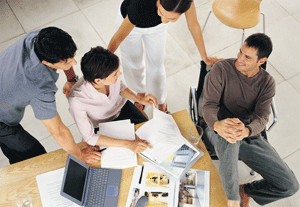 Their foresight is not viewed from a personal standpoint, but is based upon overall cooperative employee effort. Managers are always looking for ways to motivate and make things happen through persuasive, determined and passionate leadership. Leaders develop a heightened sense of intuition that assists them in identifying trends and opportunities. Their intuition is fine-tuned through personal experiences and by learning from the successes and failures of others. Action-oriented by nature, managers who lead are proactive rather than reactive. Neither rash nor indiscriminate, they use objective facts, input, and evaluative processes as well as their intuition to spot trends and possible opportunities. Once they determine that the odds of obtaining positive results from specific opportunities are in their favor, they take immediate action to pursue them. If you are seeking proven expertise and best practices effective leadership practices to train or educate your employees to solve problems and improve their performance in this area, refer to Leadership: Pinpoint Management Skill Development Training Series.Click here to learn more. At a time when America is crying out for leadership, Great! What Makes Leaders Great: What They Did, How They Did It, and What You Can Learn From It (Majorium Business Press, 2011) is a timely reminder of the boldness of exceptional American leadership. Within its pages, it brings to life the names, stories, legacies and achievements of a number of truly remarkable individuals, some long forgotten by modern history. Walter P. Chrysler, founder of Chrysler Motors, now the Chrysler Corporation stated, “An institution is the reflection of the people who guide it.” The dominant theme in Great! echoes Chrysler’s sentiments. Effective leadership does matter. Great leaders have a strong enduring influence and impact upon the performance of their companies. Great leaders build great companies. The book is based upon the groundbreaking research of 160 influential American leaders, spanning over 235 years, from George Washington to Bill Gates. It places leadership into a historical context, illustrating how their concepts, principles and methods were developed, forged and evolved into contemporary leadership’s best practices. Weaving together their words and stories into a rich fabric, Great! leads readers through the paths these individuals forged, the barriers, adversities and failures they weathered and the battles they fought for their personal beliefs and values. It details the bold and decisive actions they took in the face of economic downturns, depressions and financial panics, far worse than what the country is currently experiencing. Readers will be absorbed into the characteristics of the resolve, determination, persistence, perseverance and refusal to quit that differentiated them from their competitors. Great! clarifies the numerous ways the great leaders took advantage of emerging opportunities, often creating demand for their products where none existed. Readers will discover just what made them grand architects, who were able to forge building blocks of growth while possessing a zeal for executing their plans and strategies. The book spotlights how the dimensions of humanity, humility, empathy and compassion were woven into their characters, which are emphasized through factual accounts and stories. Great! reveals their perceptions of wealth creation and profitability, as well as organizational sustainability. It compares and contrasts them with many contemporary attitudes and practices. Great! is intended to inspire readers to reclaim America’s greatness, one individual at a time. Step-by-step, the book illustrates the paths, values, beliefs and examples that the great leaders left for us to follow. It is a call to action for all who wish to become more effective, if not a great leader. 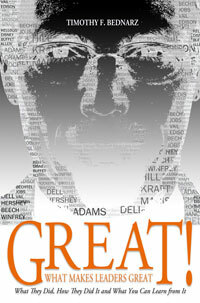 Purchase Your Copy of Great! The skills and characteristics the great and influential leaders employed enabled them to identify and maximize the opportunities that presented themselves. These individuals may have been lucky in being at the right place at the right time, but far more was required to capitalize upon available opportunities, which were presented to them. Many others at the same time were presented with similar opportunities. Yet they failed to achieve similar levels of success. This was because they didn’t possess the same skills, competencies and knowledge to understand what was needed to grasp the significance of the opportunities, and the actions and practices to maximize them. If you would like to learn more about role of luck and happenstance in the lives of the great American leaders through their own inspiring words and stories, refer to Great! What Makes Leaders Great: What They Did, How They Did It and What You Can Learn From It. It illustrates how great leaders built great companies, and how you can apply the strategies, concepts and techniques that they pioneered to improve your own leadership skills. Click here to learn more.